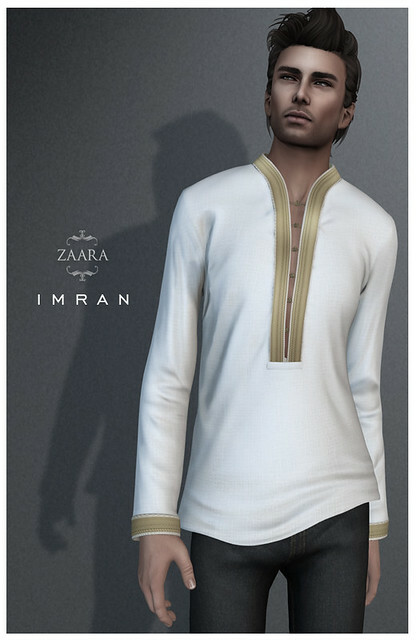 These casual kurtas/tunics for men can be dressed up and down with the border change HUD, go with plains for the conservative and gold/silvers for the dressier occasions. While we check and recheck our vendors, just in case you spot a problem please contact me immediately so we can rectify it. Summer Fest 14 is an Annual summer themed event featuring one of the grid’s best creators. 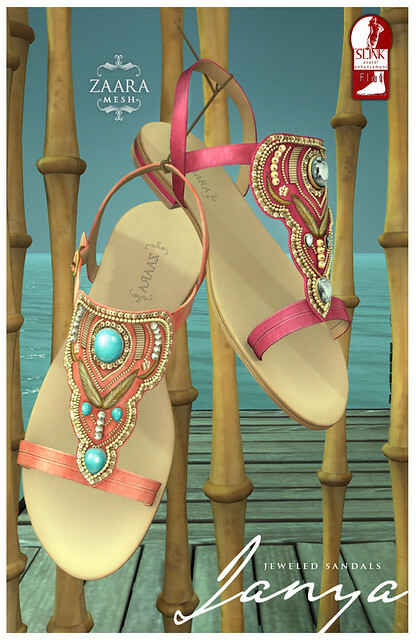 These gem studded sandals come in fresh colors ideal, perfect for summer. They come in rigged and unrigged versions fitted to Slink Flat feet. This once piece swimsuit doesn’t skimp on sexiness with its super deep neck, low back and ruched front. Demos include all sizes and colors. 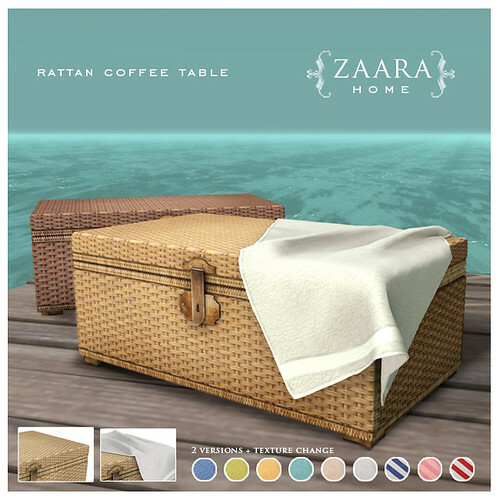 This little coffee table fits right in a coastal home, each color comes in two versions – with or without the towel. Finally a release for the men as well! 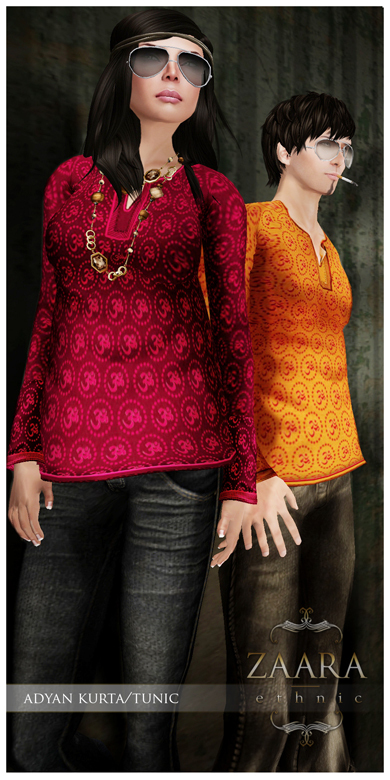 Adyan is a short casual kurta which is available in 9 different colors: 6 solid and 3 brights printed with the hindu scripture ‘Om’. It comes with sculpted sleeves and base with fittings for both men and women included in the pack. 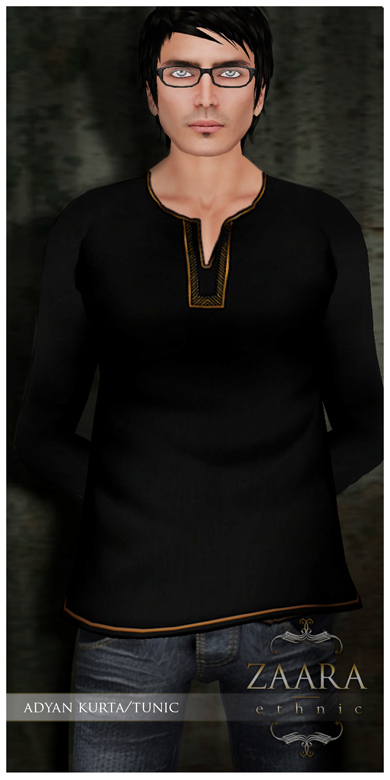 Syona Kurta: This knee length top features a deep neck with a rich woven border and gold/silver accents. Available in 9 colors with sculpted sleeves and base. 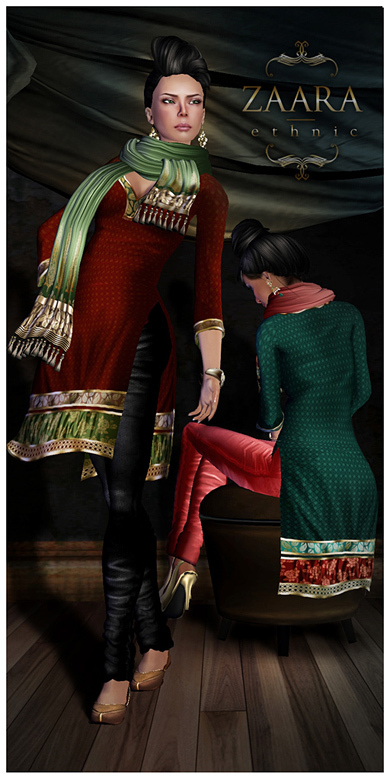 Tanya Dupatta: A versatile scarf, draped around the decollete, is textured in a rich fabric with gold/silver accents . Churidar Pants: Tight fitting cotton pants usually worn under a kurta. 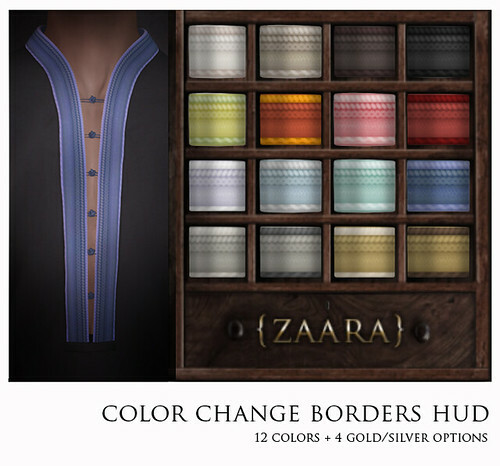 These are a version of the Ishaya slacks.